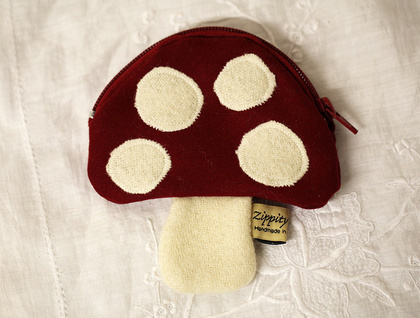 The cutest woodland pixies carry toadstool purses to all the best parties. 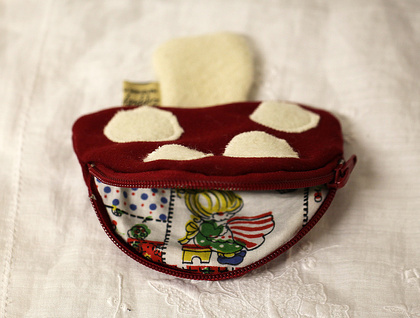 Each toadstool purse is lined in gorgeous retro fabric with little girl patchwork print from the 1970's. 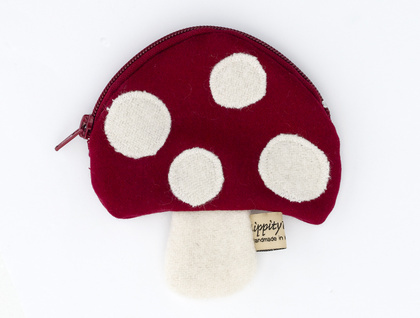 Chunky zip for easy opening and closing, perfect for storage of all your favourite treasures, or use as a coin purse. Beautifully made to my own original design. I have more than one available. Pick ups welcome from the zippitydoodah studio 10 - 3 weekdays, Ellerslie, Auckland, or postage is just $3 NZ wide.